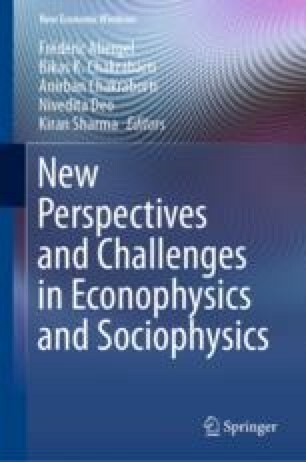 In the concluding session of the Joint International Conference titled ‘Econophys-2017 and Asia Pacific Econophysics Conference (APEC)-2017’, held in Jawaharlal Nehru University and Delhi University during November 15–18, 2017, a brief version of this Proposal was presented. There were several enthusiastic comments, received from the participants. This note is based on these discussions. I am grateful to Yuji Aruka, Arnab Chatterjee, Asim Ghosh, Taisei Kaijozi, for several interactive discussions at an earlier stage. Comments on the earlier draft of this Note from Abhik Basu, Soumyajyoti Biswas, Indrani Bose, Anirban Chakraborti and Parongama Sen are also gratefully acknowledged. I am indebted, in particular, to Bruce Boghosian and Siew Ann Cheong for their recent extremely supportive comments and detailed suggestions which, with their kind permission, have been partly included here. I am thankful to J. C. Bose National Fellowship (DST, Govt. India) for support.